You may have heard of, may even yourself use, the tactic of asset allocation in your own investing. And that’s great. 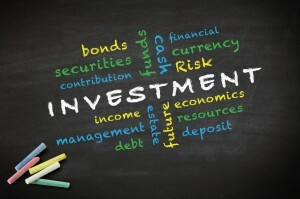 Asset allocation largely explains the investment performance you’ll get. And smart asset allocation massively minimizes your risk. You know what though? Another more important type of financial allocation—income allocation–probably matters more to your future retirement. Say, for example, that you’ll work for another twenty years and want to plan on another forty years of living. That means twenty years of wages need to pay for forty years of living. Or, stated another way, you need to income allocate. You need to allocate your twenty years of wages to pay for forty years of expenses. Obvious, right? Income allocation reflects basic common sense. But it gets short shrift too often. Which is actually pretty crazy. If you’re an average household making $50,000 a year, for example, you might be talking about two million dollars of income over a lifetime. That’s a lot of coin. Obviously, making smart decisions about how you spread $2,000,000 of earnings (when you spend and how you save) determines whether you’ll even end up with the retirement money you need. You have to be smart about this. Now here’s the problem. Yes, the theory of income allocation is simple. But once you get into the practical aspects, the picture becomes more complicated. You need to factor in compound interest. You need to account for modern-day, work-related expenses, including Social Security and similar payroll taxes that hit earned income. And you need to deal with the minor complexity that once you’re retired you won’t need to continue saving. Note: If you didn’t need to worry about taxes and compound interest, all you would need to do is divide your years of income by your years of expenses. For example, if you planned to work for twenty years and spend for forty years, that’d mean you needed to allocate half, or 50%, of your working years income to your retirement because 20 years divided by 40 years equals .5, or 50%. But the interest you earn on your savings matters because that boosts the savings you draw down over the years you don’t work. And then the expenses you’ll save when you start earning income also come into pay. To show you how all this works (and using slightly rounded numbers to keep the math obvious), suppose you or your family do earn the median US household income of $50,000. On $50,000 of income, you’ll pay roughly $4,000 of Social Security and Medicare taxes leaving $46,000 leftover. You won’t have to pay the $4,000 of Social Security when you quit working. In fact, a good guess is that you might actually receive $20,000 in Social Security benefits. So the question is, how much of the $46,000 should you save each year so that when you retire the combination of your Social Security benefits and the income stream that your retirement savings produce balances with your working year income? This calculation sounds gobble-gooky, I know. But let me give you three examples because they’ll make the math and logic clear. So here’s a first example of poor income allocation: Suppose that saving 6% of a $50,000 salary, or $3,000 a year, means you end up with a $10,000 retirement draw plus $20,000 of Social Security. In this scenario, you retire on $30,000 of annual income: $10,000 plus $20,000 equals $30,000. But this probably wouldn’t be a very good allocation. Here’s why: If you earn $50,000 and then take out $4000 for Social Security and Medicare taxes and then $3000 for savings, you’re living on $43,000 while working. But then while you’re retired you spend $30,000?! The gap between $43,000 and $30,000 reflects (probably) a big imbalance. And that means that saving $3,000 a year probably is not a good income allocation. You should save more. Out of balance, out of whack income allocation can go the other way, too. Suppose you make $50,000 a year but decide to save $10,000 annually. After you subtract the $10,000 of savings and then subtract an additional $4000 in Social Security and Medicare taxes, this scenario would mean you’re looking at $36,000 in spendable, working-years income. What doesn’t make sense here is that if the $10,000 of annual savings ultimately produces $26,000 in annual retirement income, you’re maybe looking at around $46,000 in annual retirement income once you add in Social Security. See what’s crazy about this? You work your whole life, maybe raise a family even, on $36,000 a year and then plan to retire and spend $46,000 a year. To think about this another way, if you’re okay living on $36,000 over the years you work, why bust hump to save so much money while you work that you’ll live on way more than that when retired? So here’s a third example that probably does show balance: Suppose that your family makes $50,000 a year, pays $4,000 in Social Security and Medicare taxes, and then saves $6,000. In this case, during your work years you live on about $40,000. If your annual savings grows into a value that produces $20,000 of annual retirement draws and then you also get $20,000 of annual Social Security benefits, you’ll enjoy retirement income of $40,000, too. This sort of balance probably works out to a better income allocation than saving so little you are or I am consigning ourselves to a big drop in living standards when we quit work. And this sort of balance probably makes more sense that scrimping and saving today so you can or I can accumulate a big pile of money and live high on the hog (hopefully) at some distant point in the future. With the little worksheet, you describe your work situation, entering your income (cell D4), the years you’ll work (cell D5), the payroll taxes you pay (D6), and then the other work expenses you can cut once you retire (cell D7). You also describe your current retirement savings situation entering your current savings (cell D10), the investment return you anticipate (cell D11), the safe withdrawal rate you’ll use to draw down your savings (cell D12), and then an estimate of your Social Security (cell D13). 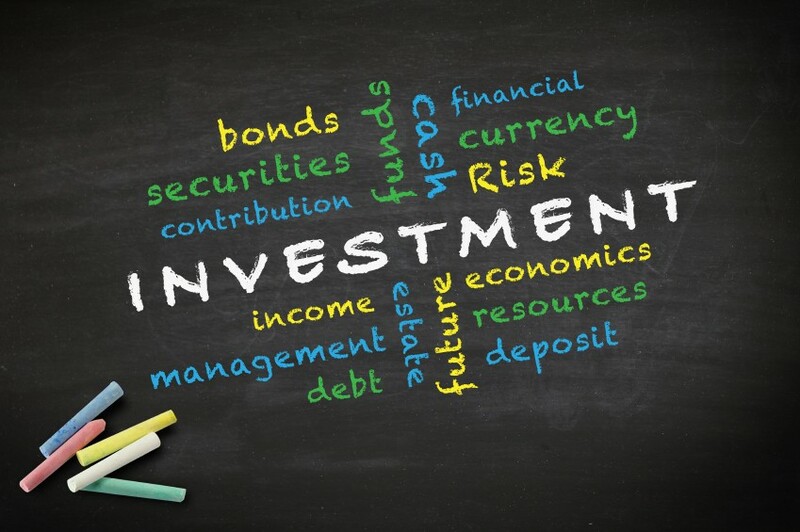 Note: The worksheet provides “starter” formulas you can use for the payroll taxes and social security benefits and then guesstimate values for the investment return and safe withdrawal rates. Using these bits of data, the worksheet then calculates your spendable income during your working years (shown in the green rectangle) and during your nonworking years using savings rates ranging from 1% to 30% (shown in the red rectangle). What you want to do is pick a savings level that means your working years income balances with your retirement income. By the way, a “balanced” allocation wouldn’t necessarily mean you always live on the same amount. Expenses might drop (or even rise?) during retirement. For example, you might finish raising children or pay off a mortgage. But you want to make sure that your savings decision produces retirement savings that top off your retirement income to an appropriate level. Free Download: By the way, can I mention that we’ve got a free retirement planning e-book you can download? 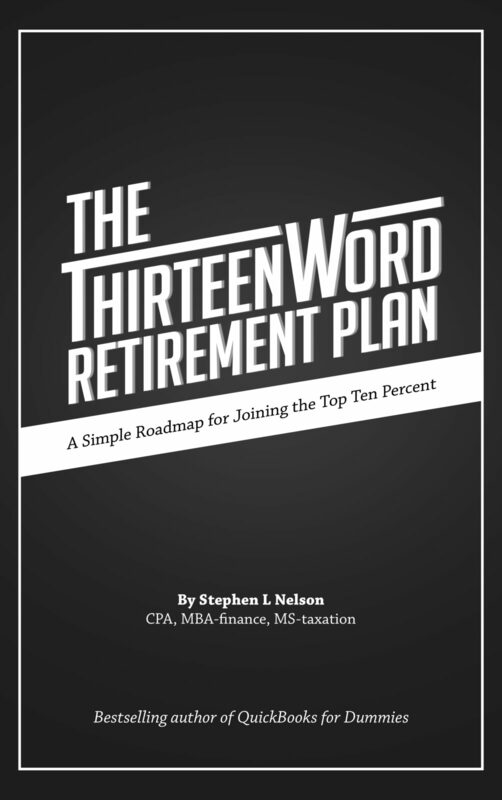 More information and the button you use to download the free e-book appears here “Thirteen Word Retirement Plan“. The worksheet you can download from the blog calculates an income stream for each savings rate. But you should validate your calculations with a bit of further due diligence. Here’s what I’d suggest: Once you have a balanced savings rate you’re considering, use a financial simulation tool like firecalc to verify you’re comfortable with the withdrawal rate you’re using in your income allocation formulas. You do this by exploring the probability that you can draw down the future value you accumulate in a particular savings rate scenario (see the yellow rectangle in the worksheet) at the specified withdrawal rate. For example, if you’re saving at a rate that produces a future value of, say, $300,000 and plan to use a 5% withdrawal rate meaning you’ll pull out $15,000 a year, use a tool like firecalc to verify that you have a high probability of being able to do this.